Product prices and availability are accurate as of 2019-04-24 22:31:47 UTC and are subject to change. Any price and availability information displayed on http://www.amazon.com/ at the time of purchase will apply to the purchase of this product. Highlight the best parts of your yard with the Westinghouse Solar Aluminum Landscape Spot Lights from Westinghouse. Each light features a weather resistant die cast aluminum construction that'll handle the outdoor elements with ease for years to come. 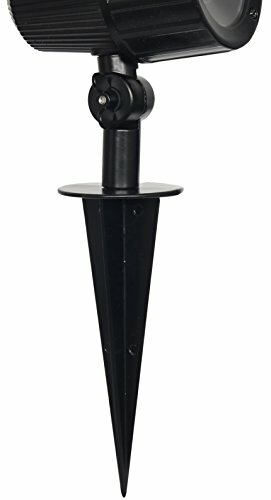 Adjustable lamp heads allow you to change the beam angle from a 10 to a 60-degree light beam so you can highlight your favorite tree, shrub, statue, or decorative element in your yard. Extended Light technology provides a peak brightness of 100 lumens for up to 6 hours then adjusting to 25 lumens for the remaining 4 hours ensuring 10 hours of light. The adjustable solar panel needs to absorb direct sunlight during the day to recharge the 2000mAh 3.7v 18650 Lithium battery for use at night. Lights automatically come on at night and turn off at dawn. 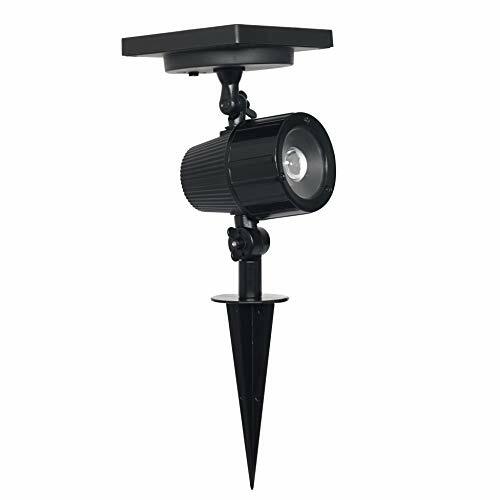 Package includes 1 Landscape Spotlight and ground stake. CUSTOMIZE YOUR WAY - If you enjoy your yard then highlighting your favorite features is a must. An adjustable lamp head ranges from a 10 to 60-degree beam angle so no matter how large or small the space you can cast light on your favorite tree, shrub, statue, or decorative element. WEATHER RESISTANT CONSTRUCTION - Living outdoors is rough so why not buy a landscape light that's built to last? 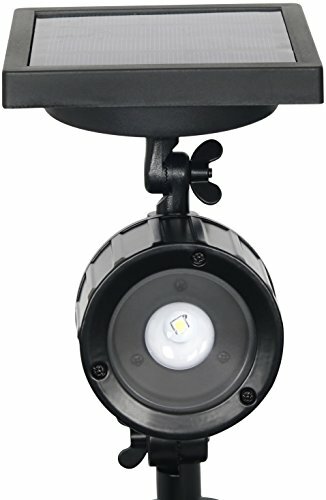 Crafted from durable cast aluminum, each flood light is weather resistant so you don't have to worry about your lights filling with water or breaking from wind debris. AUTO ON/OFF - A built in photocell sensor automatically turns your lights on and off based on the surrounding light eliminating the need to set a timer or manually turn your lights on or off each night. ENERGY EFFICIENT - Top mounted, built-in solar panels absorb natural sunlight during the day to recharge the 2000mAh 18650 Lithium battery for use at night eliminating the need to install a costly power system. 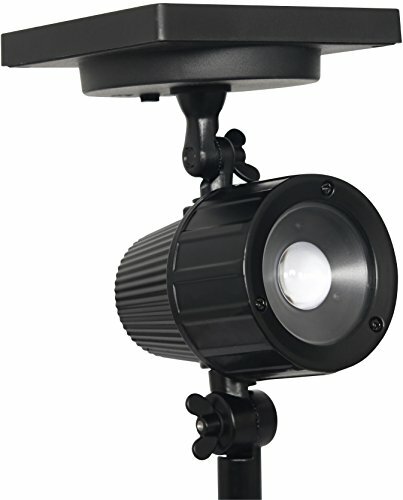 SIMPLE INSTALLATION & MAINTENANCE - With no additional wires or parts needed, you can simply pull your spotlights out of the box, turn the switch, and place where desired. No additional maintenance is required to keep your lights running for years to come.